WANT TO HELP YOUR NEIGHBORS IN YORK? 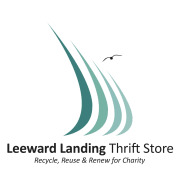 LEEWARD LANDING THRIFT STORE NEEDS VOLUNTEERS! Leeward Landing is seeking volunteers to work at our Retail Store Location in York, Maine. We are looking for individuals that are preferably willing to work at least 2-3 hours a week!